Solution is a comprehensive program for applying mathematics. You can use Solution to make different mathematical operations and analyze the results. 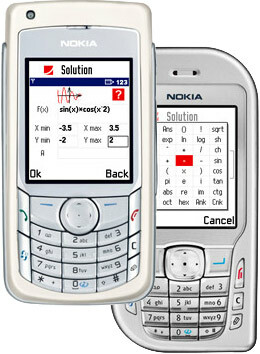 Solution contains lots of math procedures, such as complex computations, matrix operations, function analysis, plotting etc. Also there is an opportunity of creating custom functions. This program will save your time and help you to accomplish any task that requires mathematics. The following table can help you to choose the program edition which suits you best.